Halloween Monster Wreath – A fun and easy Halloween craft project! I think this is my favorite wreath I’ve made! I wanted a fun Halloween wreath for my front door this year and headed to Pinterest for some inspiration. As soon as I came across this monster wreath, I immediately knew I had to make one. Isn’t it fun? 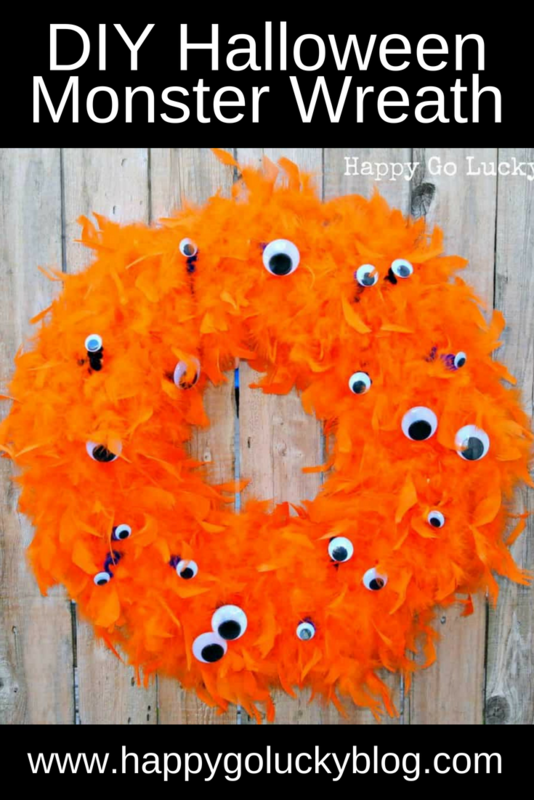 Want to make your own Halloween Monster Wreath? Step 1: Wrap feather boas around wreath and use the floral pins to hold in place. 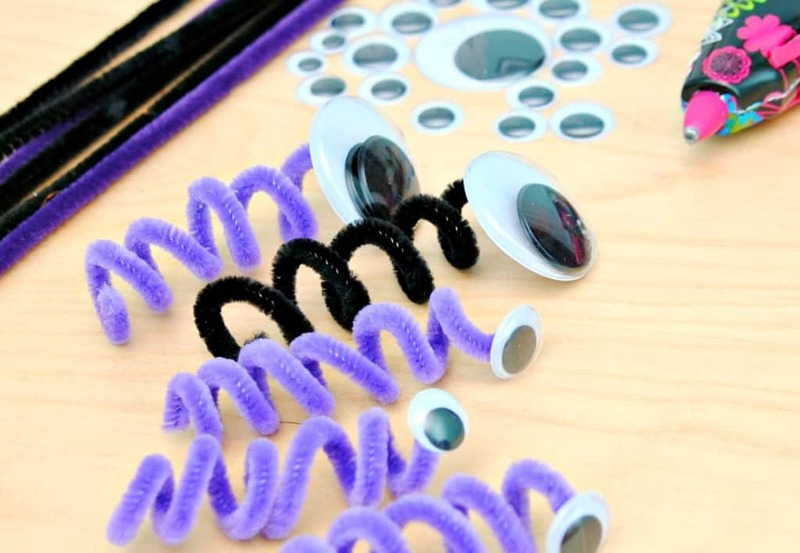 Step 2: Use your glue gun to attach wiggle eyes to pipe cleaners. Curl pipe cleaners with your finger or a pencil. I used 20 eyes but I could have kept adding more. I really had to stop myself and walk away. Step 3: Attach eyes to wreath using floral pins. Step 4: Loop ribbon and attach to back of wreath with floral pin. Step 5: Hang on door, step back, and admire your AWESOME Monster Wreath! How cute is this wreath!! You know you want to make one. 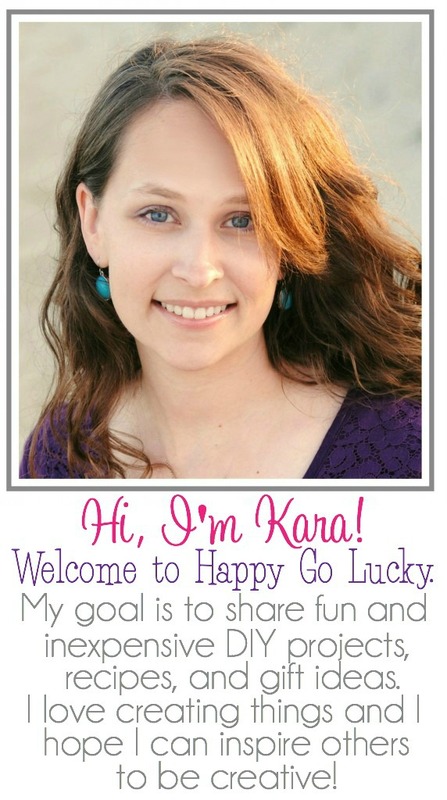 This is so adorable, Kara!! Too cute. This is just too cute Kara! I love how bright and fun it is! This is super cute!! I love how easy this is to put together!